Ready to be your best? From fitness to family services, the YMCA of Orange County offers you the ability to be the best. We all have different goals, and we are here to help you achieve them. 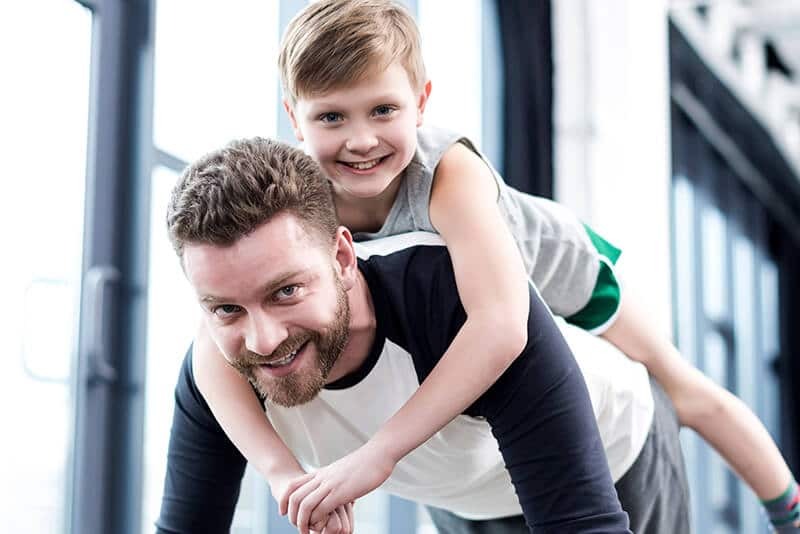 Whether you are looking to get fit or find support, we have a program for you and your family. The Y is a non-profit dedicated to strengthening communities and individuals through excellent service, quality programs, equipped facilities and a deep understanding of what it means to help. We are ready to help – just let us know how. With the Y, you’re not just a member of a gym; you’re part of a cause that is committed to nurturing the potential of kids, improving health and well-being, and giving back to our neighbors and communities. Our activities, which range from health and fitness to swimming, family activities and much more, gives you and your family the opportunity to be healthier and happier. Refer a new fitness member and when they join, you get a month of membership free! Active Military and Veterans can save up to $90 on enrollment fees! *Offers may not be combined. Some exclusions apply. *Amenities vary by locations. Please contact your local fitness center for more information. Want to jump start your Y experience? We offer free 60 minute fitness orientations to all new members. This group session is designed to get you started on the right path to reaching your health & wellness goals. Your session will be lead by one of our qualified health and wellness professionals who will give you guidance on select cardio and weight training equipment, group exercise classes, and the benefits of your membership at the Y. Come prepared to workout and bring your questions on how we can help you achieve your fitness goals. The YMCA KidZone is where kids go to have fun while their parents work out. This courtesy service is FREE with family membership and is located inside our health & wellness fitness facilities so your kids stay close. The YMCA is proud of its heritage and commitment to make its character-building, family enriching programs available to everyone in the communities we serve. Annually, we receive support from hundreds of members, community leaders, and businesses who believe in our purpose and contribute generously to our Annual Campaign, investing in youth and families. Funds are distributed to families with a financial need in our community. YMCA membership requires the forms below to be fully completed during the on-boarding process. If you purchase your membership online, you will be asked to fill these out at your first visit. Participants in classes that are canceled by the YMCA due to low enrollment will be issued a refund/credit for a future program. Also, those who withdraw from a program for a medical reason can receive a credit slip for the remaining classes if the request is accompanied by a physician’s order. All credits given are good for one year from issue date. Membership fees are not refundable. Program fees are not refundable. Members are allowed use of all YMCA of Orange County full fitness facilities. KidZone is for Family Memberships only. Use is available for 2 hours per day. Children under 14 must be supervised by an adult at all times. See posted rules about facility use for youth. Joining fees are nonrefundable and required for rejoins. Memberships are non transferable. Memberships are billed on the 1st of the month via credit card or EFT. Memberships are month to month. Memberships canceled in the last 5 days of the month will be billed for the next month. Memberships must be canceled in writing. No cancellations are accepted by phone.